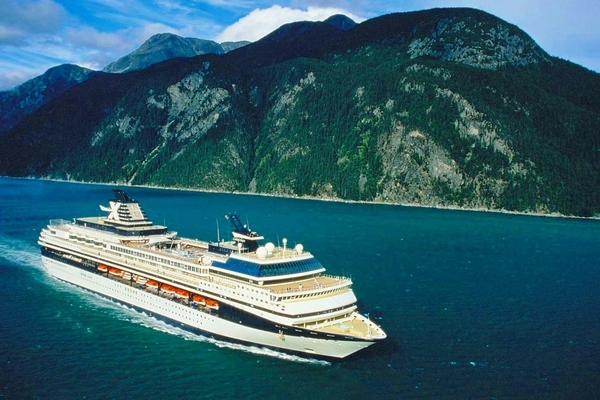 We have cruised on four other cruise lines. Boarding was a nightmare due to the inspection and total disinfecting of the ship The entertainment was average. The comedians, Stars of the Infinity, the male singer, and Emily Reed were fantastic!!! The rest of the acts were quite boring. The food in the Trellis Dining Room was very good! Our waiter and assistant waiter did an excellent job!!! However, it seemed like the same lunch menu was served in the Oceanview Grille every day. Our room attendants also did a fantastic job. They always went above and beyond. The Zumba Class was fun!!! The instructor did a great job!!! I was totally shocked by how rude many of the passengers were. I never experienced so much pushing and shoving in a cafeteria line before. So many passengers were extremely loud. I really think a 15 day cruise is just a little too long. Too many days at sea and not enough time to explore the ports. Prepay your gratuities to get Select Dining. It makes for a much better dining experience. There are many excursion companies right outside the dock area. Felt concerned for our safety. Don't rush to see the first lock. There are many more to see. Try some zip lining here! Impressed with the city of Antiqua. Try a kayak and snorkel tour. Make sure you take a water trip around the arch.